– Vegetable biryani, made out of basmati rice with a variety of seasonal vegetables and served with raita. – Mughlai pulao made with basmati rice, carrots, peas, onions, cashews and shahi jeera and other whole spices. 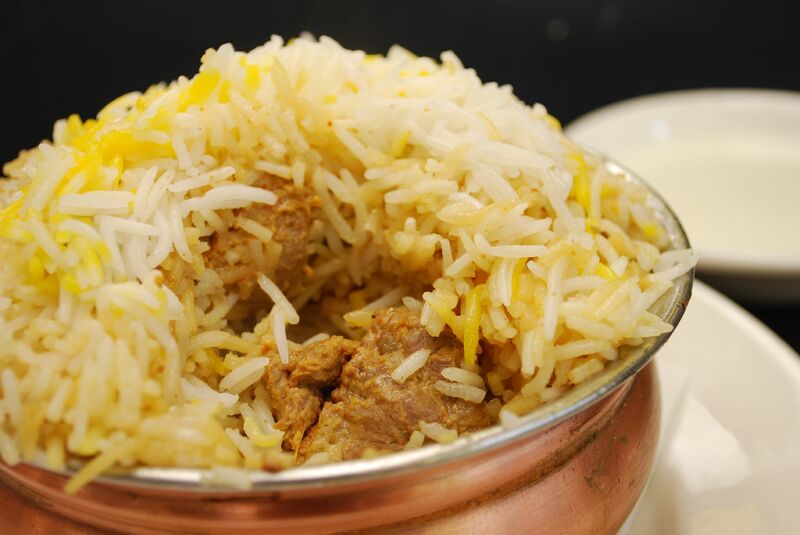 – Hyderabadi dum biryani made of basmati rice, with goat meat and our house special masala mix, served with raita. – Biryani made of basmati rice, prepared with boneless tender chicken with our special masala mix, served with raita.